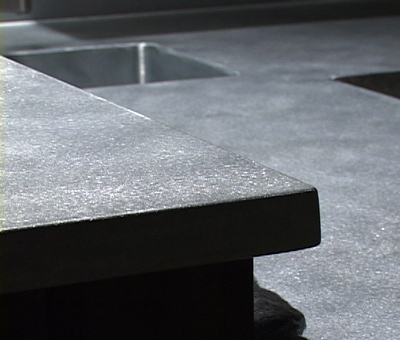 Patina zinc countertops have a luxurious look and feel unlike any other countertop choice. 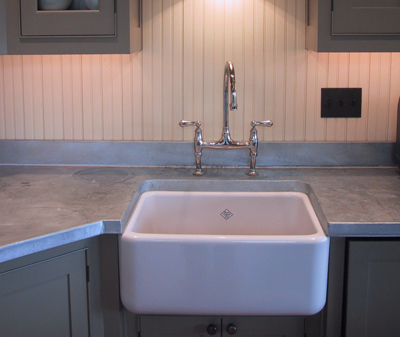 Whether you add a patina zinc countertop to a modern kitchen or create an old world look, it is a great choice. 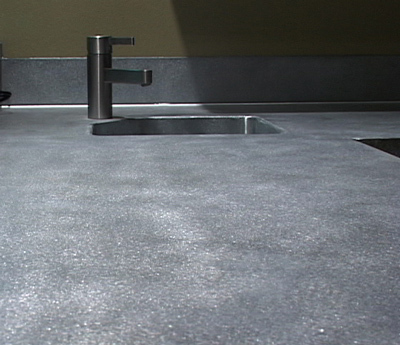 Patina zinc countertops are a great choice not only because of their look, but they are also naturally anti-bacterial. 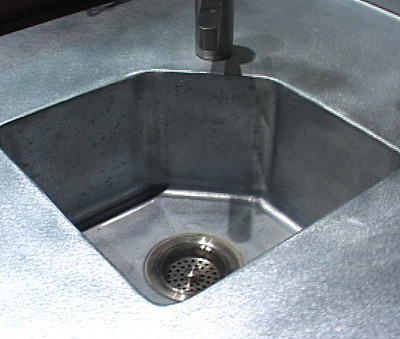 Our patina zinc countertop line is always lead free so you have no questions about proper food safety. Call us today to set up an appointment, you will not be disappointed. 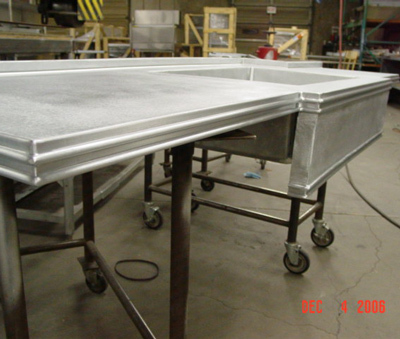 A family owned company with 30 years of experience in designing and manufacturing commercial stainless steel counter tops. 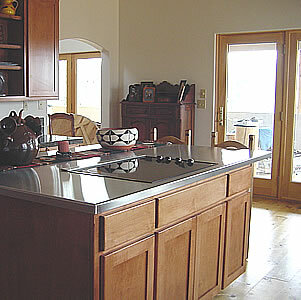 CJ Design Kitchen Counter Tops now brings commercial quality and standards of construction to the residential market. 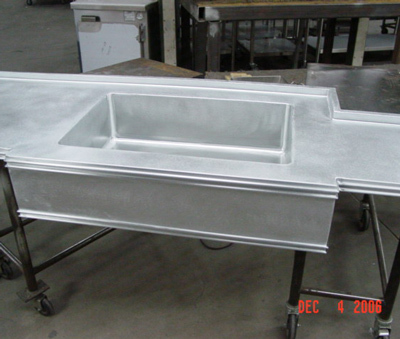 At the same time extra effort is taken to satisfy the designer's ideas and goals for each project. 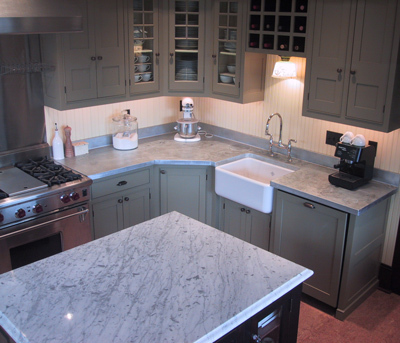 5117 S. 100th E. Ave.
A family owned company that designs and manufactures custom countertops including Custom Patio Countertops / Custom Patio Counter Tops, Copper Countertops, Copper Sinks, Bar Tops, and Custom Bar Tops. 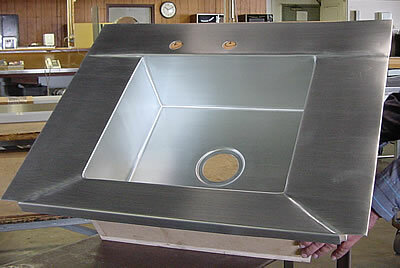 Also offering various Copper Countertop, Copper Sink, Bar Top, Custom Bar Top, and Custom Patio Countertop / Custom Patio Counter Top options. 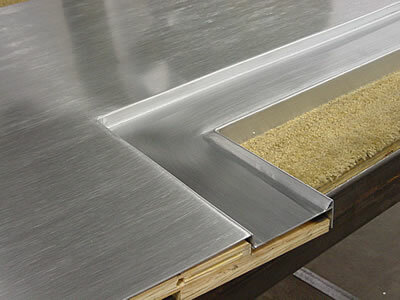 For over 30 years, CJ Design has been offering Tulsa, Oklahoma and the entire USA Custom Designed, Custom Outdoor, Zinc, Patina Zinc, and Stainless Steel Kitchen Countertops as well as Custom Designed, Custom Outdoor, Patina Zinc and Stainless Steel Counter Tops. 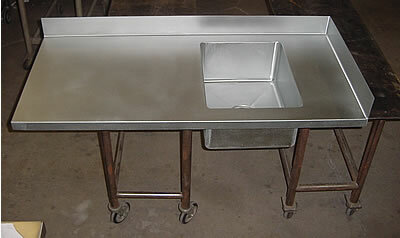 CJ Design also offers Architectural Metal Designs, Pot Racks and Copper, Stainless Steel & Zinc Sinks.